West Midlands Police Authority has confirmed that it has to save £78m over the next two years. The authority said the settlement for 2011/12, requiring £40m to be saved, was "difficult but achievable". There would not be a rise in the precept, the part of the council tax which pays for policing, for the year from April, the authority agreed. 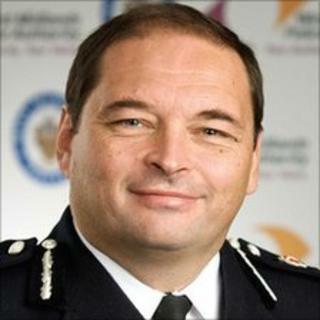 West Midlands Police had previously said it may have to cut £123m by 2014 and lose up to 2,000 jobs. The precept in the West Midlands is £99.45 for a Band D property in 2010/11. Authority chairman Bishop Derek Webley said on Thursday: "The settlement for policing for 2011/12, which requires us to save £40m, is difficult but achievable. "But 2012/13, where another £38m is required, will be much more challenging. "We will have taken a range of steps to meet the savings required in year one, and these will not be available to the same extent in year two." There are currently 8,486 police officer posts in the force. Last month, Chief Constable Chris Sims said cuts would affect both officer and civilian roles. Reliance on government funding for 87% of its budget meant the force had been affected by cuts more than some others, Mr Sims said.